Politicians are nominated to represent and protect people’s interest, and they react to what people care about. Public mobilisation is therefore vital to achieve real political change. Through the WWF network, we involve hundreds of thousands of people in petitions, public stunts and e-actions that have a powerful impact on key political decisions. It is the biggest environmental awareness campaign ever seen! Earth Hour takes place once every year. On the last Saturday of March. 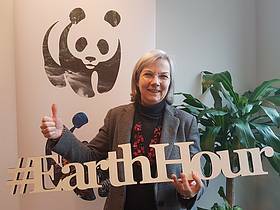 Learn more about Earth Hour 2018. Simply turning off your lights for 1 hour. Earth's hour. Earth Hour is a highly "visible" symbolic act. One that millions of people can easily join in with. "I care about my planet!" In Europe, vital laws protect our most precious nature. Our wildlife and most valued natural places all depend on these rules. 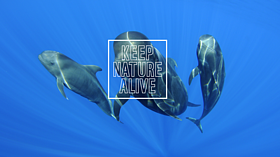 Keep Nature Alive campaign advocated against the revision of these laws by the European Commission. Over 520,000 people spoke up to save them in the European Commission's consultation – the biggest number ever reached in the history of the EU! We made sure that their voice was heard at the highest level of the European Commission, and by their own governments. In December 2016 the European Commission decided against the revision of the Birds & Habitats Directives. At least 60% of animals and plants of European importance and 77% of their homes are at risk.